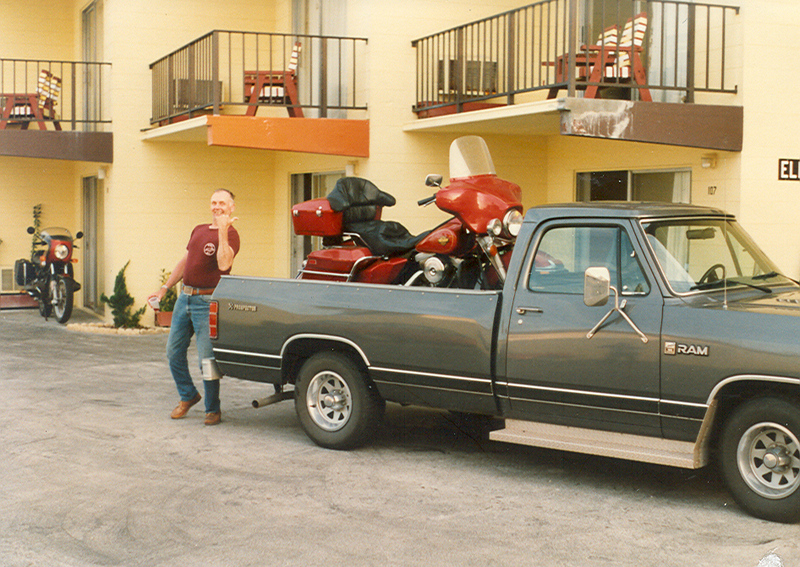 I began my annual pilgrimage to Bike Week in Daytona Beach in the early 1960s when I would haul a dirt bike down to compete in the Alligator Enduro. It soon became an annual late-winter vacation for my family and me at a cabin on the beach with a nice pool and an ocean view. 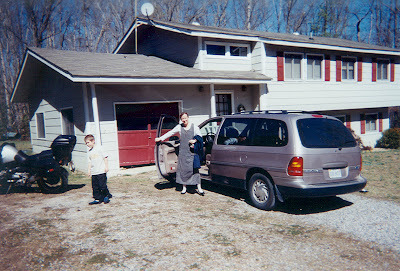 At least five of us would go together every year in our station wagon – sometimes six. 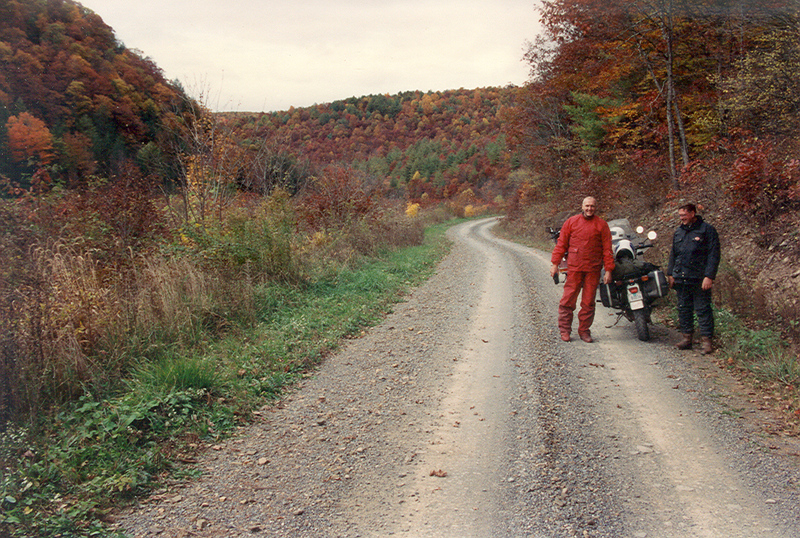 We would make the 1130 miles from New York State in 16 to 18 hours, straight through with the bike trailer in tow. That was before I-95 was finished, so almost half of the trip was on two-lane road. 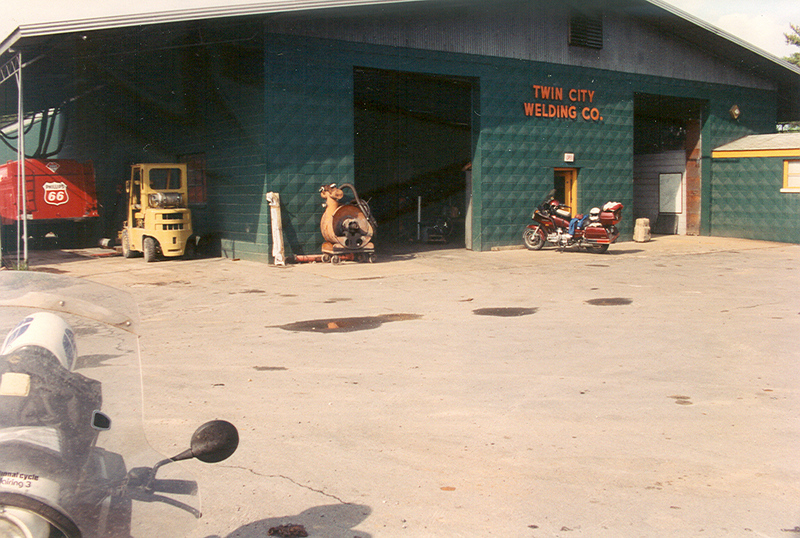 By the early 1980s, much had changed in Daytona Beach, in our family, in the condition of the highways and in my enduro competition. 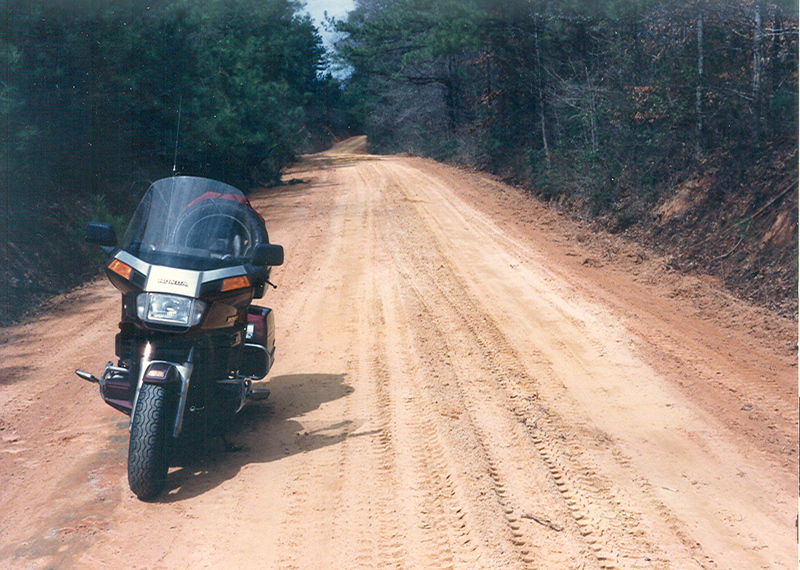 I was doing much more road riding by then and I stopped riding the Alligator Enduro and began to ride my road bike down every year – alone. Rooms on the beach could no longer be found for under $20 a night as prices rose to well over $100 everywhere within a 50-mile radius. I would take a room in the Ocala area to avoid the high prices and ride into Daytona every day, rain or shine, 70 miles each way. I was there mainly for the ride anyway and I was beginning to get great enjoyment from riding longer distances. 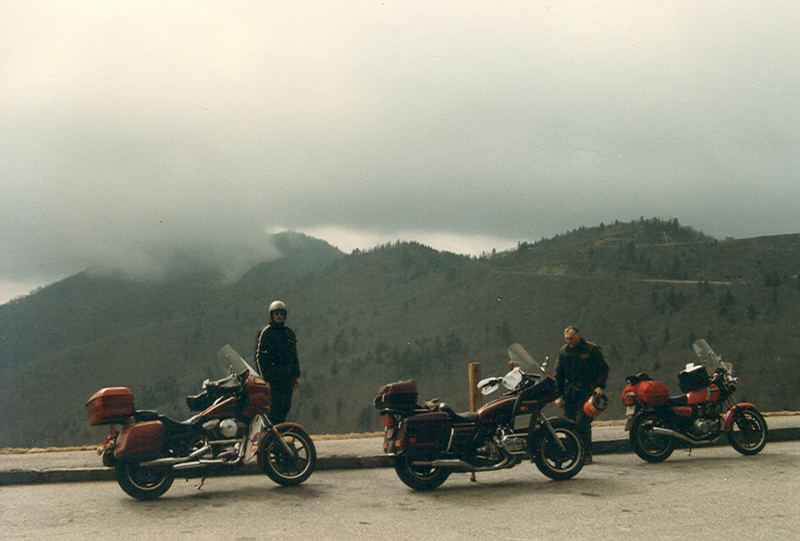 When Bud Peck, my long-time friend and enduro teammate turned to road riding, we would often make the trip together. I would plot out the route on two-lane country roads that often took us four and five days to reach Daytona. 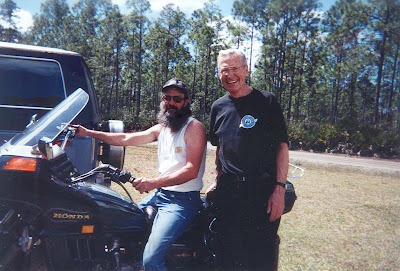 Later Jake Herzog joined us, although I still traveled alone quite often and would sometimes ride as far west as Texas while on my way. 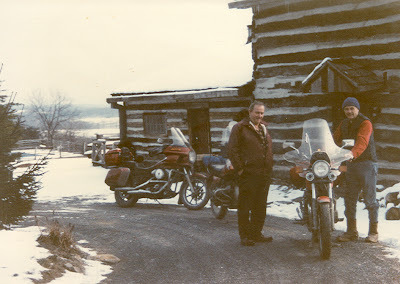 There I would often meet up with my friend Ralph Spencer coming from his home in Sun City, Arizona and we would ride together for a few days before I, or both of us, would head directly for Daytona. I traveled into Mexico alone on a few of those extended trips – once to Copper Canyon in the Sierra Madre Occidental Mountains of western Mexico; and once to the Yucatan Peninsula in southeastern Mexico to visit the ancient Mayan sites. 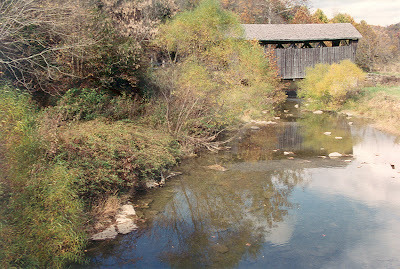 Photos of several of those side trips are elsewhere in this blog. The photos below are from miscellaneous trips to Daytona – some in late February and others in October for the “Biketoberfest” Rally. 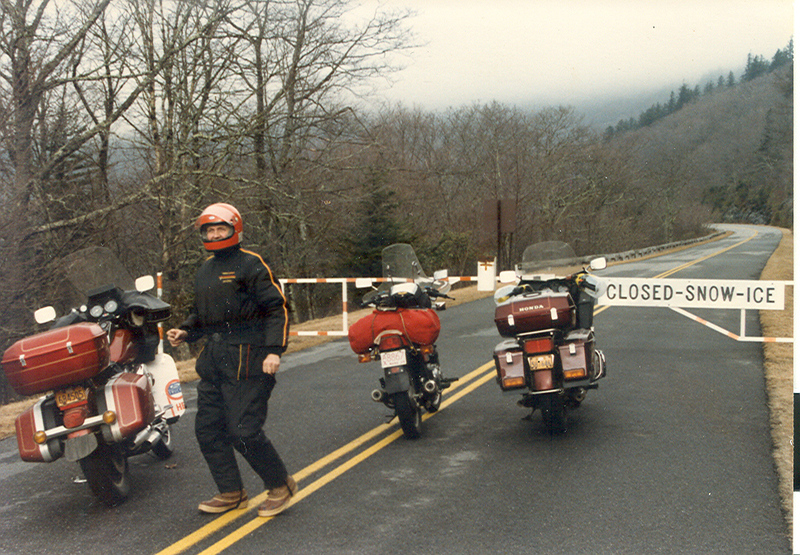 In the first few photos below, Bud Peck, Jake Herzog and I were on our way to Biketoberfest in the early 1990s. 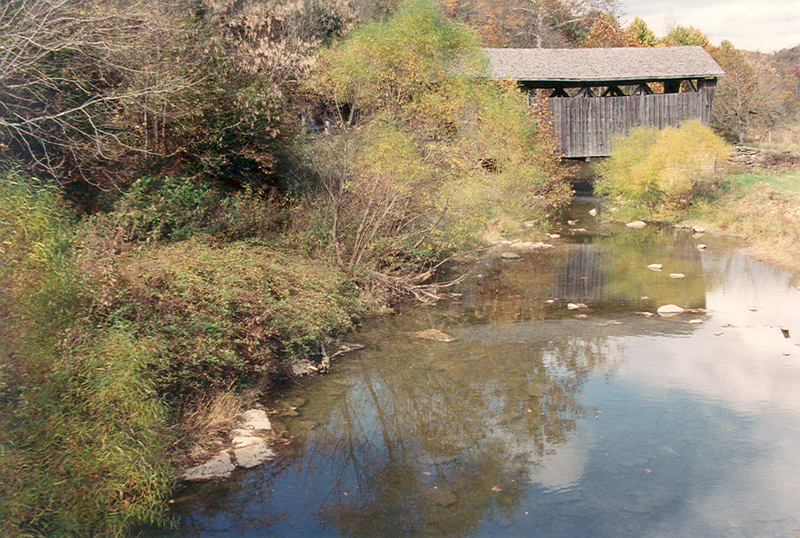 We were enjoying mostly good weather and beautiful fall foliage in the Appalachians along the back roads of Pennsylvania, West Virginia and Virginia and were about ten miles north of Bristol near the Tennessee state line when the narrow road we were on took a slight bend though someone’s dooryard, between a house and a barn. My tires hit some hard-to-see sand on the road that got my attention and made my Gold Wing drift a little. 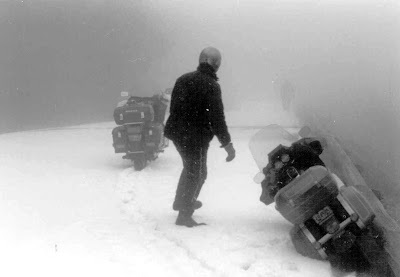 Seconds later I heard the bizarre sound of metal against blacktop as Bud’s BMW K75 went down and slid for several yards on its side. We were going only about 40 mph but it slid far enough to scrape a hole clear through the K75’s aluminum valve cover, and engine oil was leaking from it. Bud was unhurt and he quickly removed the valve cover. 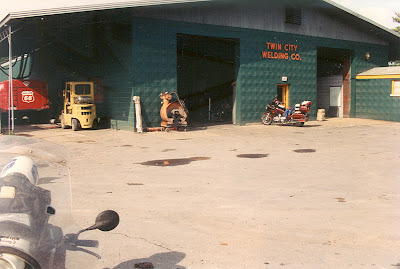 The farmer came out, watched us for awhile and told us where we could find a welder in Bristol, about 10 miles from there; so we brought the valve cover there, had it welded, had lunch and were back in less than two hours. Bud quickly reinstalled the cover and we were on our way. The first three photos below are from that incident. Click on any photo to enlarge. We'll be ready to go in a minute! We went by this mini avalanche, which didn’t phase anyone. At the higher levels, snow became more evident and the fog rolled in. 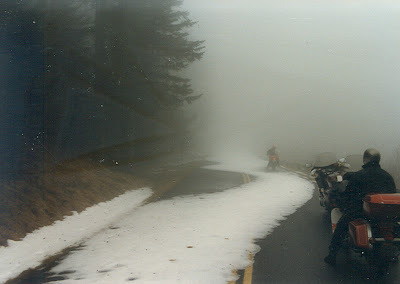 Eventually we ran into heavier fog and a snow shower, which began to get our attention. 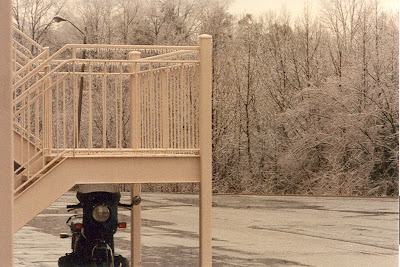 Jake thought it would be easier to ride the shoulder for a while and get the advantage of gravel underneath, but the shoulder narrowed at one point and then disappeared, causing his bike to slip against the railing. There was no damage to Jake or the bike and minutes later we were on our way; but it’s this kind of thing that can turn an ordinary ride into an exciting adventure. 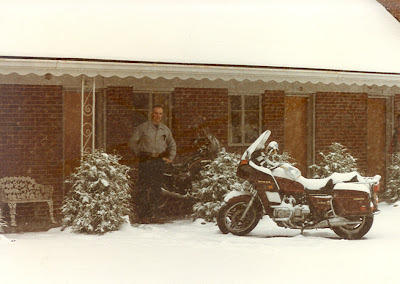 We got off at the next exit and rode US 221 for a while, rather than take the chance of meeting heavier snow. That’s the Blue Ridge Parkway and Grandfather Mountain above us. From here it looks like it only snowed on the other side of the mountain. 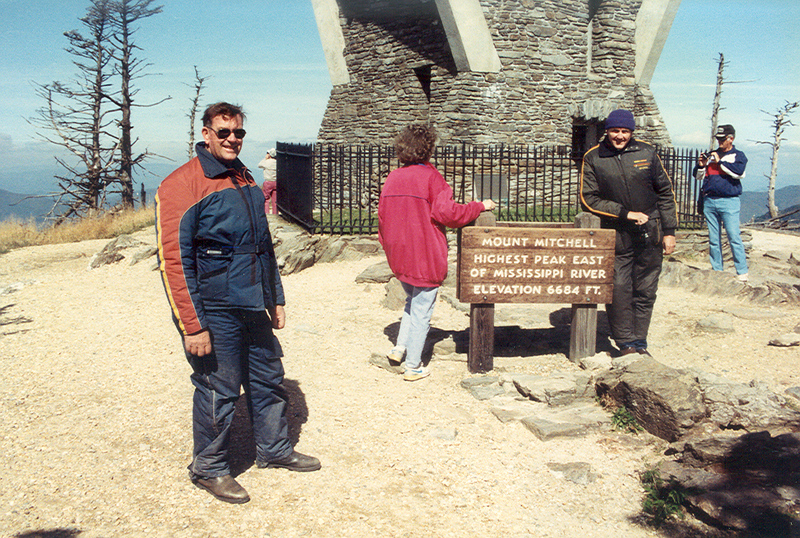 Jake (left) and Bud atop Mount Mitchell in North Carolina during another trip. 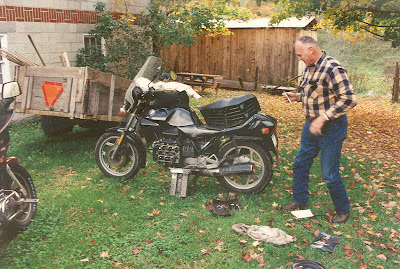 Jake began to have electrical problems in northern Georgia on this trip. 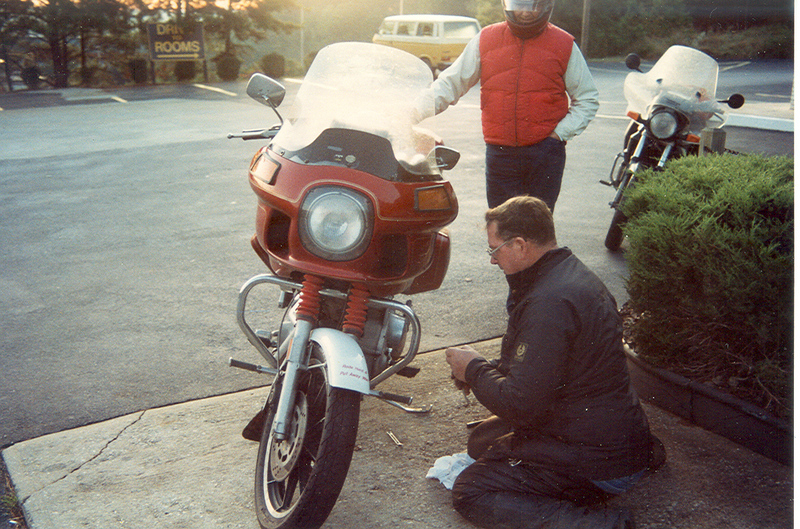 He eventually decided to abort the course and ride into Atlanta to find a Harley Davidson dealer and get a more permanent fix. 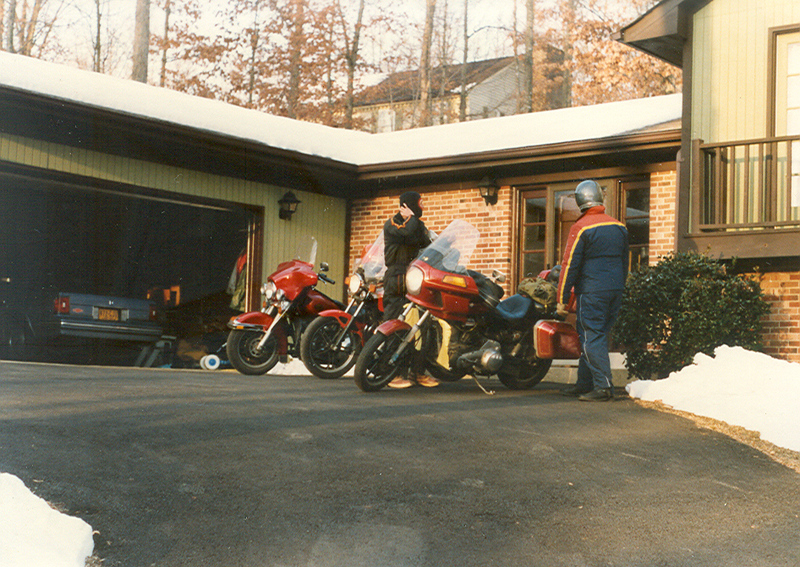 We stayed the first night of this trip in one of Uncle Ed’s rentals (he's Jake’s Uncle Ed) near Berkeley Springs, WV. Ed McIntyre was with us, driving his car. We ran into a considerable amount of snow on the trip. 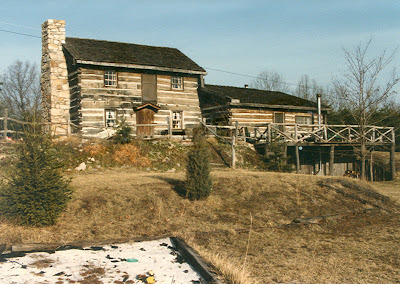 When we got up in the morning here, the temperature was in the 20s. 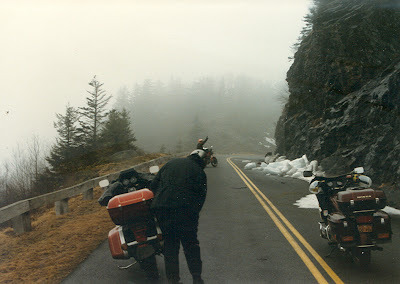 I was riding my BMW R80ST, which was a small dual-sport that I rode for a few years in the mid-1980s; Bud had his Yamaha Seca and Jake rode his Harley. The thing I remember clearest about this stop was that my BMW barely started when the engine cranked over very slowly and groaned. I should have used thinner oil. 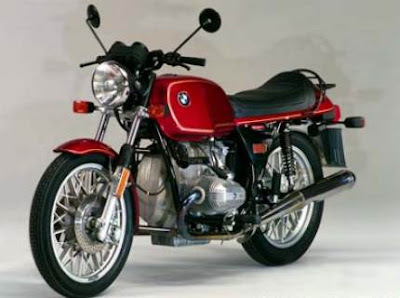 For those unfamiliar, this is a 1985 R80ST like the one I had. It handled great! I used a small Rifle fairing. Later, along Bluegrass Road in Bland, VA, we woke up to a significant snow cover. 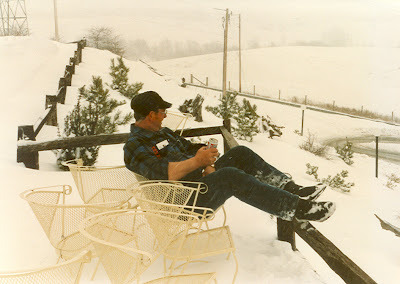 We weren’t going anywhere that day so Jake cracked open a beer and we settled in. I remember the proprietor’s name was Ray. His wife Judy operated a restaurant just down the road called “The House,” where she served great home-cooked dinners. I stopped by several times and we got to know them after a while. 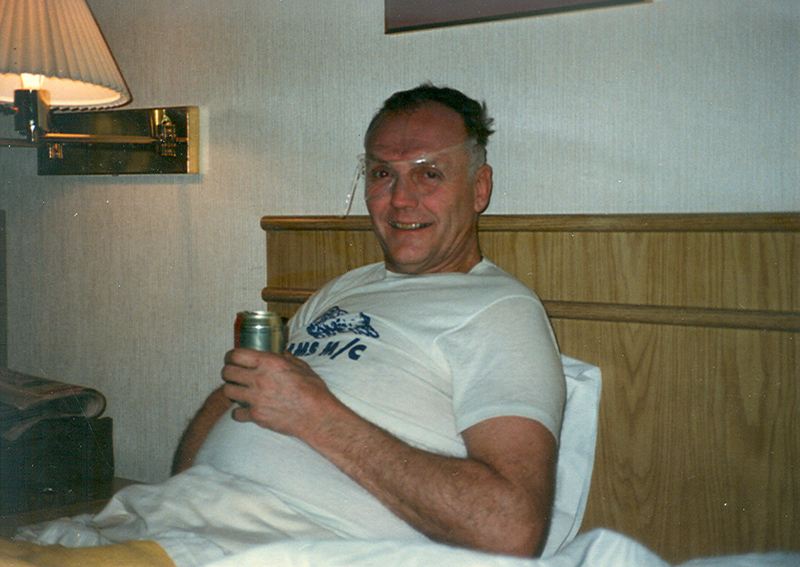 Bud in bed with a beer and using the plastic 6-pack holder for spectacles. Jake relaxing on the porch in the afternoon. We left in the morning. 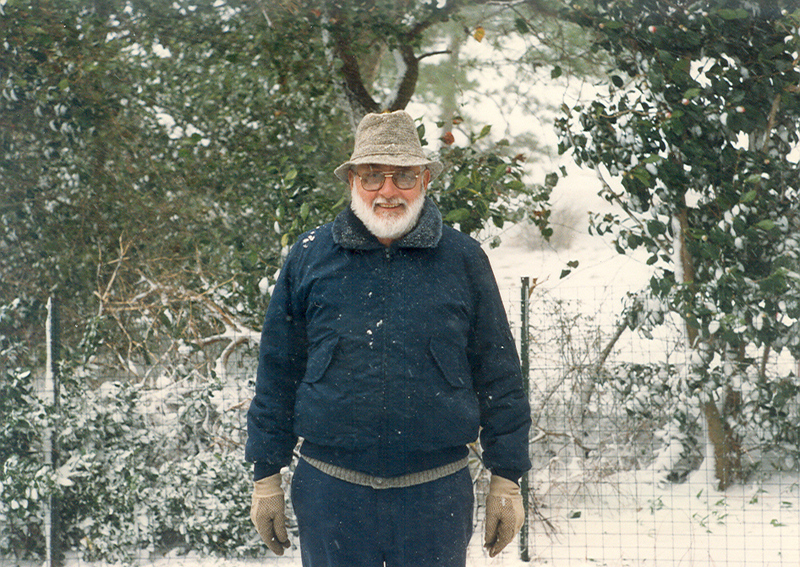 I stopped several times to visit with my brother Art Smith at his home in Norfolk, VA. 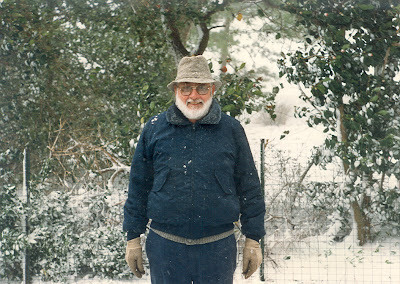 He once said, “It never snows in Norfolk, except when you’re here.” The next three photos were taken during a stop in the late 1980s. 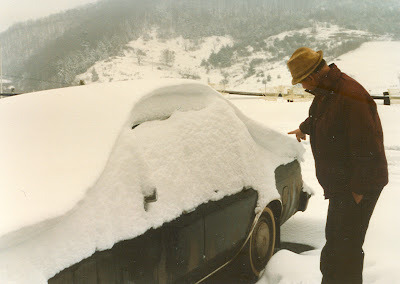 I think it snowed on three different occasions while I was there. 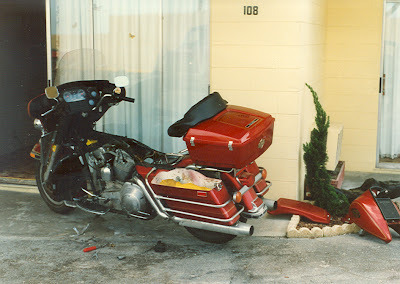 I stopped by once with my 1986 Harley FLHT on my way back from Daytona, riding alone, with several teeth stripped off the main drive belt. It was snowing at the time. I had difficulty locating a Harley dealer who would agree to replace the belt that day, even though it was a roadside emergency and it was under warranty. We stopped by to visit with Jake’s daughter in Springfield, VA on this trip. 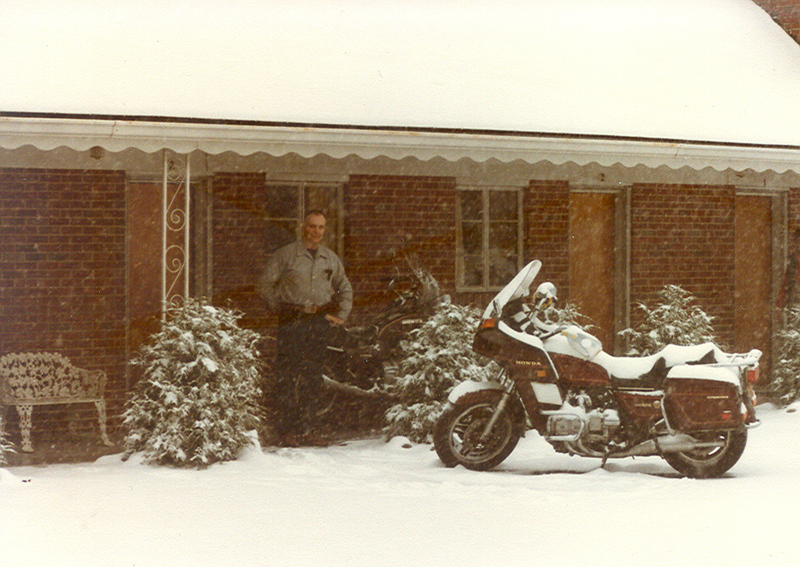 I was riding my brand new 1986 Harley Davidson FLHT. The second and third photos were taken after we arrived in Florida. 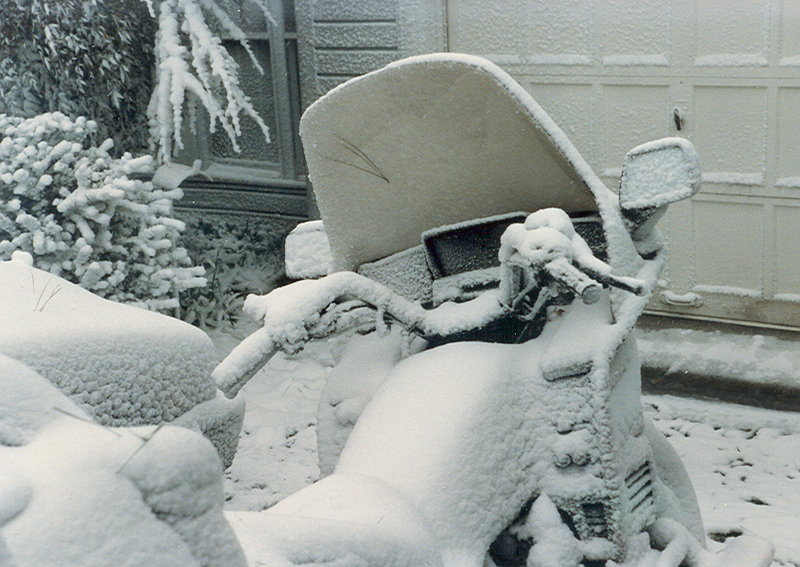 One is of my Harley on Perly Parker’s pickup after it broke down and he rescued me. The other is where we were taking it apart in an attempt to locate the problem. I eventually put 38,000 miles on the Harley in 15 months, during which time I had more than 20 warranty problems – some of which were quite serious. 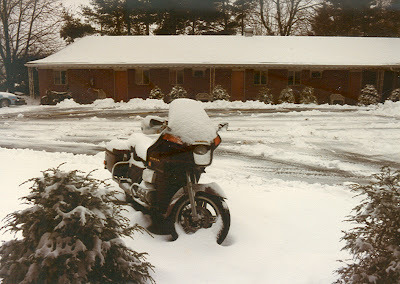 I had planned to take it on my 15,000-mile “Back Roads USA” trip in 1987, but I eventually postponed the trip a year and traded it in for another Honda Gold Wing. The Honda dealer wouldn’t give me any more than $4500 on a trade-in because he said the bike was “played out” with that many miles. He might have been right. I don't remember what the problem turned out to be. I was with Bud on the way to Daytona when he suggested we stop by and visit Luray Caverns. 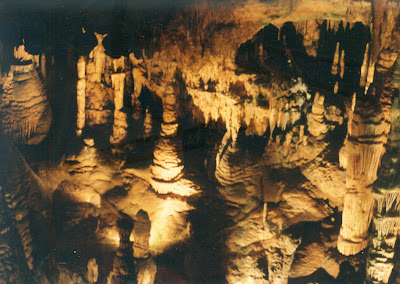 This photo might be upside down because I have difficulty telling the difference between stalactites and stalagmites. Another of Uncle Ed’s rental units that we stayed in on a different trip. Fog is common in the morning along the Blue Ridge Parkway. 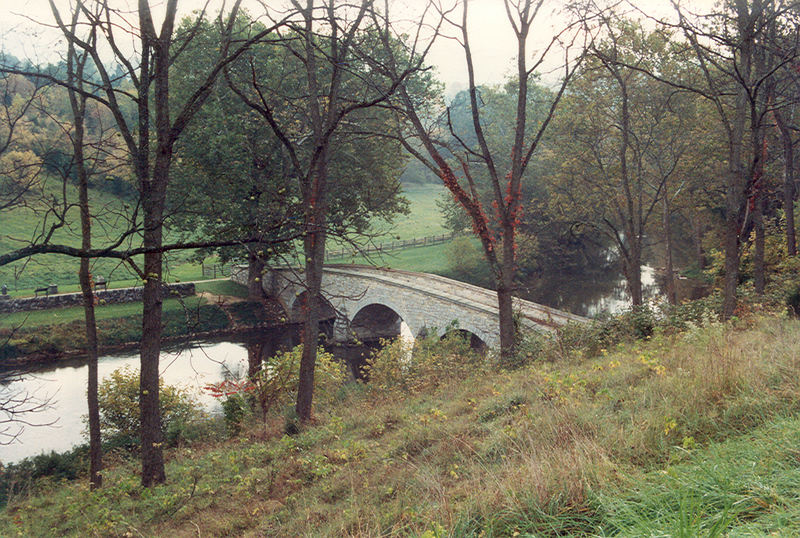 On another solo trip, I stopped at Sharpsburg, MD to tour the site of the Battle of Antietam, the bloodiest single-day of the Civil War. The two photos below are of Burnside Bridge over Antietam Creek. I often stopped by to visit with my daughter and grandchildren in Prince George, VA. 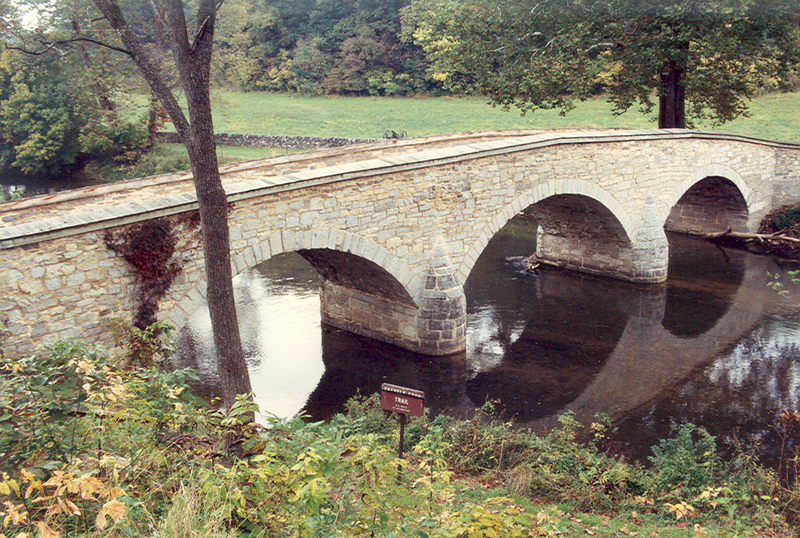 This was taken in 2002. Pictured are my daughter Donna and grandson Seth. 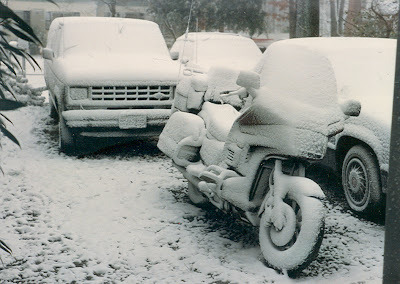 I was riding my 2001 BMW R1150GS at the time. It too required considerable maintenance and repair during my ownership, but I clocked more than 100,000 miles on it in three years and always enjoyed the ride. The next two photos were taken one morning in Boone, NC when Bud and I were on our way to Daytona. We managed to leave later that morning with slush on the highways. Rain was freezing on whatever it hit when Bud and I pulled into this motel somewhere in North Carolina. (Notice ice on the trees.) 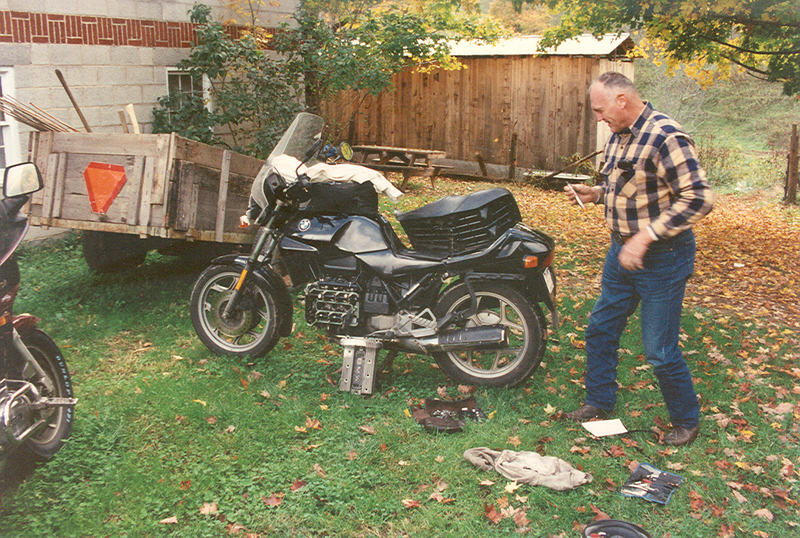 We recognized the bike tucked in under the stairwell as Frank DeGray’s BMW. Frank was a dealer and a great enduro rider from Ellington, CT. He was also on his way home from Daytona at the time. In the past 10 to 15 years, whenever I’ve been to Daytona Bike Week, I’ve stayed with my nephew and good friend Bob Conklin, who lives with his wife Renee in Bunnell – about 30 miles north of Daytona. 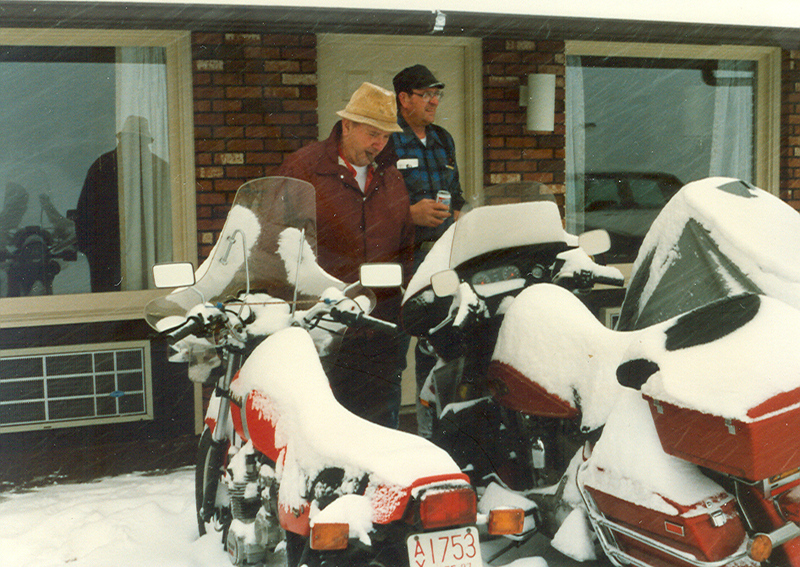 They are both avid bikers and have traveled together with their individual bikes as well as two-up on this Gold Wing. Bob is a tile roofer by trade, but when the economy is slow, he’ll pick up work elsewhere. He drove a big rig during one extended slow spell a few years ago. His wife Renee often traveled with him as a co-driver. 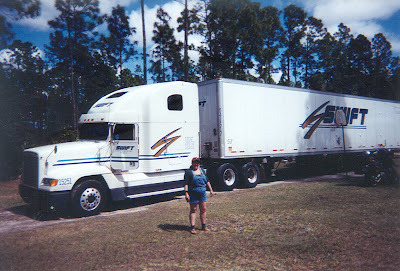 This is a shot of Renee with the huge sleeper cab and 54-foot trailer. 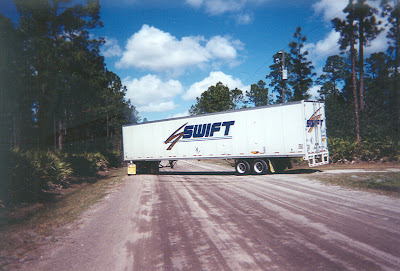 The behemoth leaving Bob's dooryard during Bike Week. The following 3 shots are of my leaving Bunnell in 2010, on my last visit to Daytona Beach with the bike. 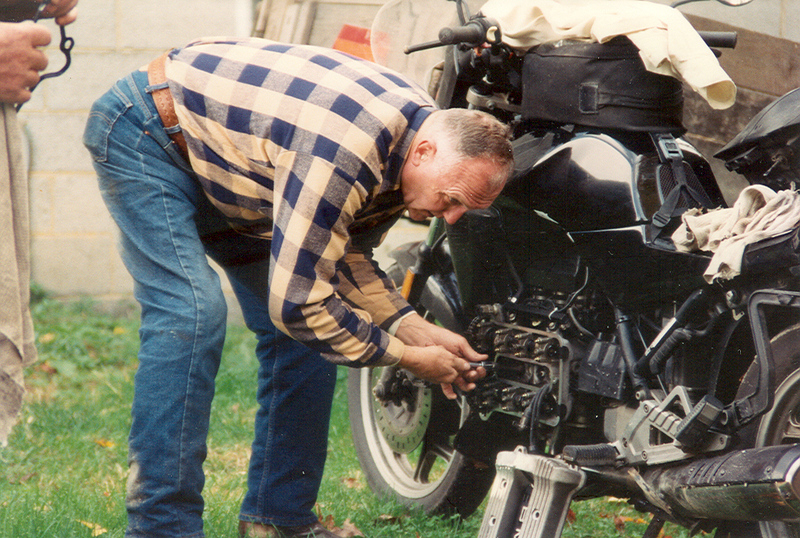 I was to be 85 in June, and after I got fully dressed for the 1130-mile trip home, I mentioned to Bob that I might not be able to get my leg over the machine with all of these clothes on. Bob fetched a concrete block for me to stand on, and my departure was forever immortalized on film. 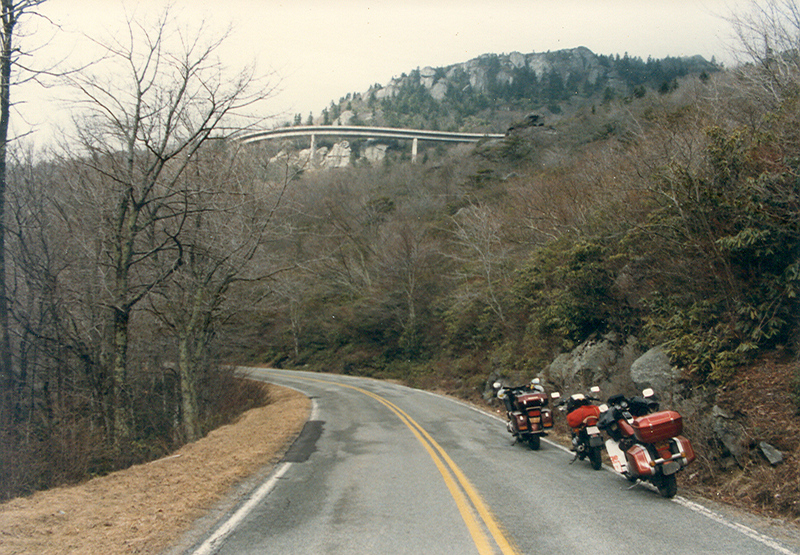 I was riding my 2007 650cc Suzuki VStrom, which has more than 116,000 miles in less than 5 years - since I was 82. This year, at 87, I only eked out a little over 10,000 miles. It's never given me a single mechanical problem, by the way. In the year 2000, I rode my last of my four different 4-cylinder Gold Wings to Daytona, clocking an average of more than 100,000 miles on each. After losing my wife Lillian to breast cancer in 1999, I rode almost exclusively solo, and I concluded that a lighter weight adventure touring bike would be more appropriate for my type of riding, although 4-cylinder Honda Gold Wings always treated me very well as adventure touring bikes - even on some of my most rugged trips. It wasn’t the greatest handling bike in mud, deep sand or deep gravel, but only a few of the so-called adventure touring bikes handle well on loose surfaces anyway, and the few that do are vulnerable to chain problems on extended trips. 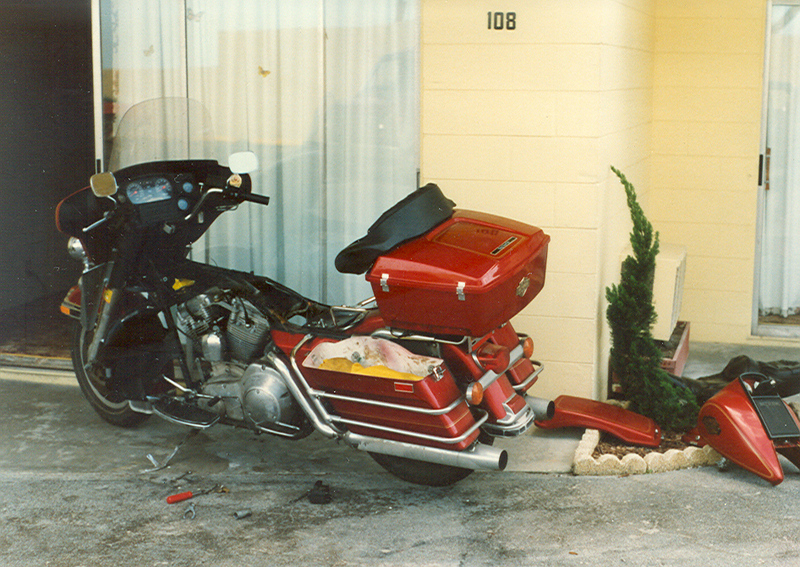 My latest book Keep Going includes a chapter with journals and a few photos of my most recent Daytona bike trips as an octogenarian.